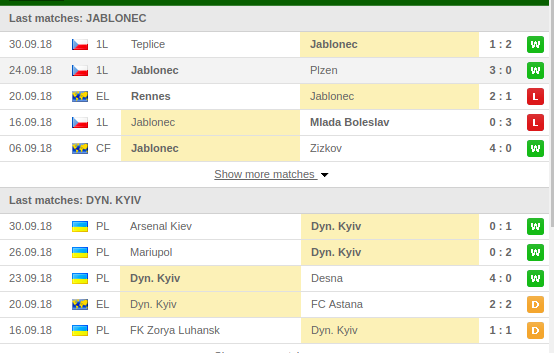 Following a 2-1 loss to Rennes away from home, Jablonec will be looking to give their home fans a better cheer as they host Dynamo Kiev. They did well to qualify for the Europa league for the first time in the history. They have lost one game in their last five home games winning in the others four. Dynamo Kiev were held on a 2-2 draw by FC Astana at home as they conceded in the last minute of the game. Having by-passed the group stage, they lost in the knock out stage to Lazio. They have lost one game in their last five away games winning two and drawing two. 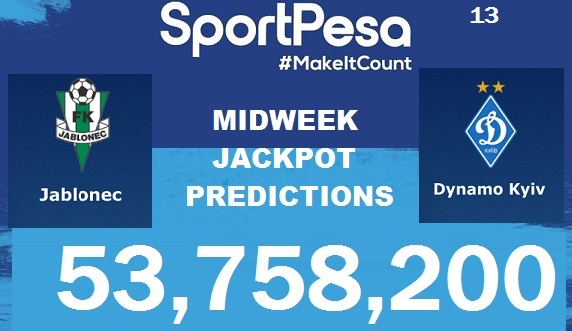 OUR PREDICTION: 48K for just 10/13 Last week. Register today to receive our predictions for all 13 games for free. How will this game end...?